And to celebrate Valentine’s Day (or Galentine’s Day if you prefer), the fact that I recently reached over 4.4k followers on Twitter, over 1.1k followers on Insta, and hell, just for the simple fact that it’s Wednesday, I thought I’d host a little giveaway because you’re all completely awesome! There are three different layouts to choose from; you can have a single pic, two pics or even a six pic grid for the indecisive (or the Insta lovers)! The choice is entirely yours 🙂 You simply upload your chosen photo or photos from your computer, Facebook or Instagram and get creating your mug. Alternatively, you could just have some text; maybe your favourite quote, an anniversary date or even your children’s birthdays? I am definitely a messy bun, get stuff done kinda girl, my hair is actually in a very messy bun as I sit here writing this and I’m not particularly approachable in the mornings before I’ve had a coffee 😉 I love the fact you can change the colours and the size of the fonts for that completely personalised look. You even could put your blog or company logo on your mug! How cool does that look? To enter the giveaway, simply follow the instructions below 🙂 The competition closes at midnight on Weds 8th March and the winner will be contacted by email and announced on my Twitter page. *£10 voucher code was kindly gifted by Mr Nutcase. I love reading your blog, so glad i signed up to receive post updates! This giveaway is awesome too, would love a personalised mug for using at work 🙂 ! 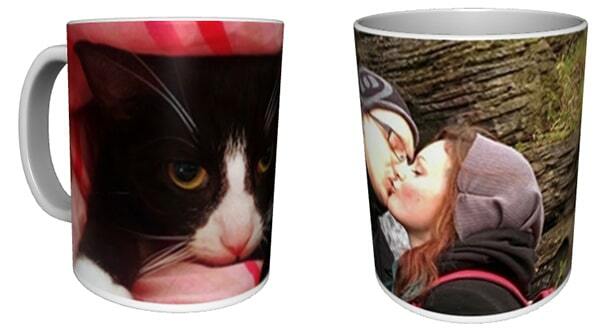 I’d put a photo of me & my boyfriend on the mug and give it to him. I probably ‘should’ give the mug to someone else as I have far too many but I just can’t resist something personalised. I like the idea of something to do with my blog Great giveaway! I would have a pic of my 2 children and keep it for myself, so when they’ve gone to bed and i’ve sat down with my brew they’ll still be looking at me, reminding me not to eat that last biscuit!! 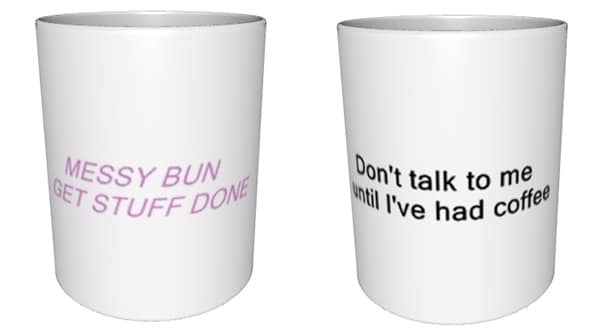 I would love to make personalized mug for my husband to take to work. We tried once with kids using pottery markers but the pattern has washed off after a while. I love drinking tea/coffee, so does most of my family. Such a cute idea to have a personalised mug to use. Awww, that’s such a lovely idea and thank you!! Seems to be a popular idea! I’d give it to my mum with a photo of her grandchildren. I bet that would look cute!! I would have a pic of the kids put on it for my mum for Mothers day. I bet she’d love that idea! what a lovely prize. thanks for chance. I would give it to my daughter for her birthday and i would i have her photo on it! Awww, what kind of dog do you have? I would put my blog name on it! That’s sweet, how old is she? I would put a photo of my kids on it and take it to work so that their little faces could cheer me up when I’m having a bad day. Awww that’s such a sweet idea!! Awww bet he’d love that! I’d probably put some photos of my son on for my mother in law for Mother’s Day. I would have a photo of my children put on the mug for myself. Thanks for this lovely giveaway. That’s a lovely idea, bet she’d love it!! Such a nice touch aren’t they? A photo of the family for my step daughter who has SEN and loves family photos.